This song is for teaching children the Ten Commandments. The author and composer are unknown, and no publications with it have been found. However a number of people remember singing it as children in the 1950s and 1960s. Third, on His day be holy, this will be my aim. Sixth, be pure in all I say and see and hear and do. Ninth, be pure in mind and heart and all I think and desire each day. That's exactly how I remember it!! I was born in the 60's but remember this from CCD in the 70s for sure. Funny how these things stick with you! I am from the same era and learned the song in CCD as well. The problem is and what I have always wondered is why the songs order is wrong. 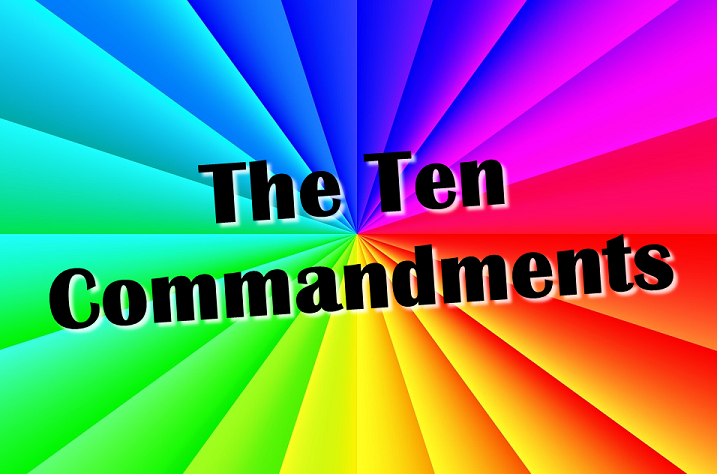 The second and third commandments are not correct. ? Yes they are correct. 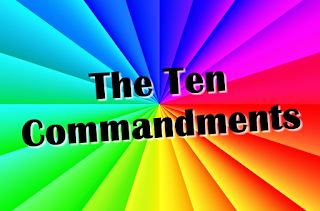 The Protestants put the first two Commandments into one then divided up the tenth so as to still have ten, so this messed up the order. Why was this done? Personally I think it was because they reckoned Catholics adore statues but of course we don't. They perhaps wanted to press home that one must not adore graven images which God of course requires but if one looks at the long version of the Ten Commandments in the Bible one sees God said thou shalt not make graven images so as to fall down and adore them. He did not say don't make images at all. He commanded that there be images of angels on the Ark of the Covenant. Oh my gosh, I learned this in the first grade in the 60’s and still remember it! Oh my God! I learned this at St Mary's High School in Lesotho, in 1970. Thanks to my Bible Teacher, sister Teresa. I have taught it to my former Primary students, my children and now to my grand children. I learned that song during the 60's at St. Matilda' Catholic School!!!! I remembered most of the lyrics. It brought back memories. I was either in the first grade or second grade. So happy to have found the lyrics! I learned this in the late 60sand loved it, but I couldn't remember the 6th and 9th commandments so I haven't been able to teach it to my grandchildren, but they will learn it now when I see them over Christmas.